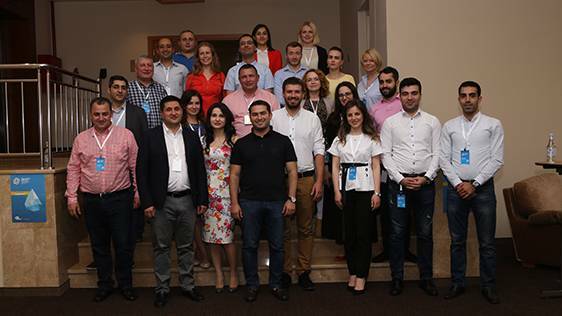 Recently, the 4th “Media Content 2018” three-day forum was held in Jermuk at the initiative of Ucom. Issues related to the technical and legal, as well as rebroadcasting matters of the media content field were discussed during the conference. Ucom’s international partners got acquainted with the technical capabilities of the company’s current fixed and mobile networks, their development prospects in Armenia and the world, the new formats of content delivery through those networks, the current state and development trends of media market in Armenia, as well as with Ucom’s innovation strategy. “We have discussed a number of topical issues and also wanted to show our partners that our network is the only one in Armenia that is ready to deliver content not only to the end users in Armenia, but throughout the world. We have built the most up-to-date network in Armenia, and now our task is to upgrade our OTT-solutions like MediaRoom, U!Pay and etc. 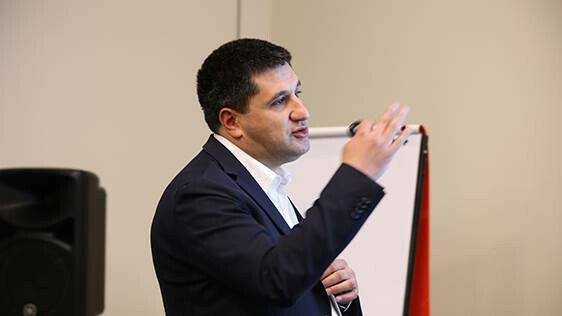 for the benefit of end-users”, said Hayk Yesayan, Co-Founder and Director General at Ucom. “The existence of the modern network gives us, the Ucom partners, a chance to broadcast our channel and its content in various formats, both as the base packages and in a video-on-demand format, with the help of mobile television in phones, smartphones and tablets, and in HD quality in the nearest future. If Ucom haven’t had created ways to deliver content to the end-users, we would not have been able to reach our potential audience, including youth”, said Sergey Piriev, the head of foreign regional broadcasting at «ТВ Центр». “The presentation of Ucom’s capabilities was informative. The development can go in different directions, including the IPTV, OTT and VR-solutions, the opportunities are truly vast. We will be able to broadcast our TV content not only in classic Russian and English, but also in French, German, Spanish and Arabic languages. This means having television pavilions in these countries, having not just a direct translation of the events, but the alternative view of the news broadcasting”, noted Mariana Zhukova, representative of “Russia Today” TV Distribution Network Development Service.